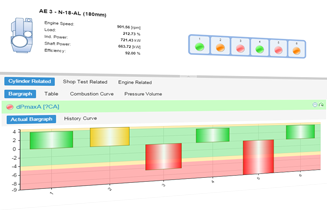 The EDCenter, as heart of the e-line concept of International Technology, is a modern engine diagnostic cloud application. The system analyses and diagnoses the condition of the engines based on various parameters and predicts incipient failures from every ship of the entire fleet. The system also continuously analyses the fuel consumption and indicates if savings can be achieved. The effectiveness of the overall solution helps keeping track of the engine condition and fuel consumption with an easy traffic-light navigation across the entire fleet. Furthermore, the powerful multi-user system automates the huge data collecting and analyzing process. 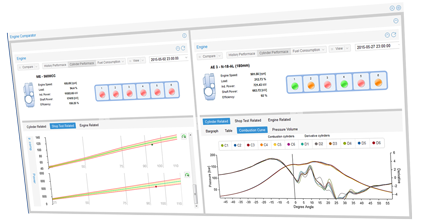 The EDCenter changes the habit of waiting for weeks to receive reports to be analyzed. In emergency cases chiefs, superintendents, fleet manager as well as external experts will automatically be alarmed by e-mail in order to take immediate action to ensure energy efficiency and low maintenance costs. The system allows an easy navigation to drill down from the company level to the ship and engine level. Depending on customer needs, the EDCenter operates with the unique operating environment of each engine such as the operation profile, fuel type, load pattern, ambient conditions, which influences the engine. The EDCenter effectively optimizes the operational availability by grouping the important parameters. The system continuously analyses the fuel parameters and indicates in traffic lights if savings can be achieved. - Get online status of the entire engine on smart devices, etc. The cloud concept of the EDCenter is the future of the communication industry per se and therefore expected to experience continuous development as integral part of daily operation in the engine industry. The setup of the EDCenter covers all operation-related data such as pressures, temperatures, load, speed and ambient conditions which are measured and collected either manually, automatically by the online engine monitoring system as well as the engine automation system on the ship. The data capturing can be chosen independently, flexibly and modular. 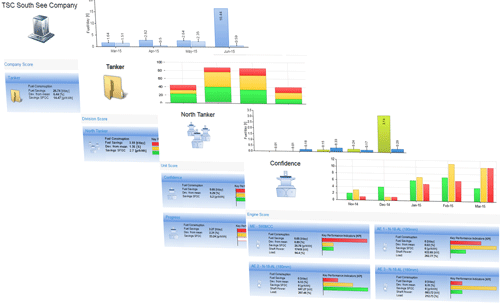 Individual key performance indicators (KPI's) can be selected by the customer chosen from 300 existing parameters. New individual parameters can easily be added. Logically, the chosen setup will have an impact on the automatic diagnosis of the system. Data can be analyzed daily or monthly. However, the engine builders gives the following advice: to cut costs and increase the safety and operational availability of the engines, collecting data once a day is sufficient for addressing the real maintenance need. As soon as the data is captured by the system, the report is immediately available in the EDCenter and the engine condition is grouped in the complete fleet overview. The engine condition is automatically evaluated and determined by the EDCenter and indicated by the traffic light. Since all parameters are online accessible, the system allows immediate attention if an engine or a specific engine parameter requires it. No part of this website may be reproduced without International Technology's express consent.